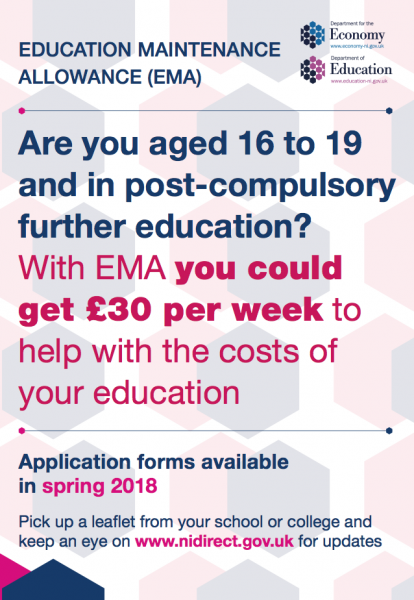 The Educational Maintenance Allowance (EMA) of £30 per week is awarded to eligible pupils who remain in education after compulsory schooling ends (Post 16). 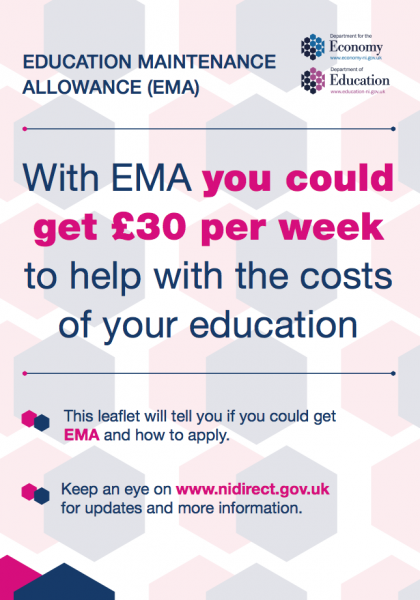 EMA payments can be stopped if a pupil is absent from school without a valid reason or if absence notes have not been provided. Pupils must also attend all classes and sign in and out of school at the designated times in they wish to receive their EMA payment.